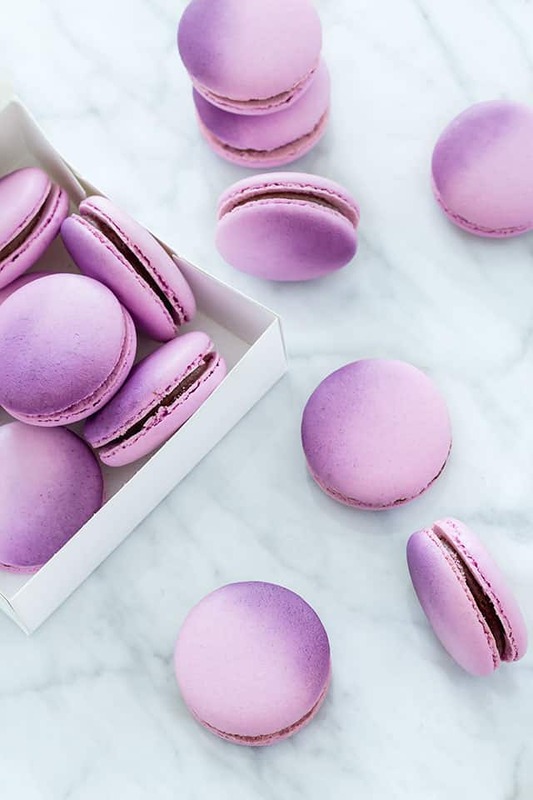 With macarons growing in popularity, I have seen a lot of enthusiasts put their own twist to the classic one-color design and give them a lovely makeover. So, if you are ready to take your macarons to a whole new level, here are some easy decorating ideas for you to try! 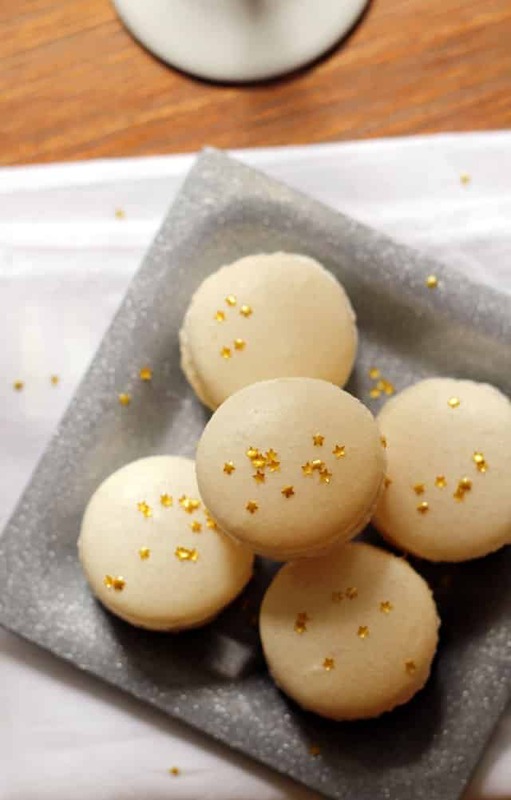 Add a touch of sparkle to your macaron cookies by sprinkling gold pearl dust or gold pearlized sugar like we did for these Bleu French Macarons. 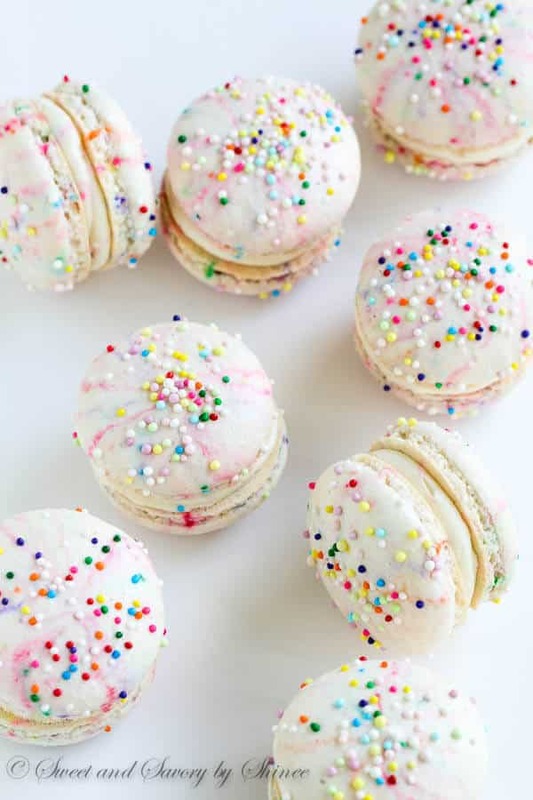 Use Rainbow Nonpareils to make them looking fun and festive like these Funfetti Macarons by Sweet and Savory by Shinee. There is also full video tutorial that you can watch here. Top your macarons with Gold Stars Edible Accents for a party-ready look like these Champagne Macarons by blogger Joanne of Eats Well with Others. They’re perfect for any celebration and New Year’s Eve party! For an amazing pink tie-dye effect, add a drop of pink and a drop of orange into the batter and lightly stir. Use the Color Right Performance Color System to achieve the colors you want. Check out our tutorial for Pink Marbled French Macarons. Another easy way to create a swirl effect is to use the Color Swirl Coupler to combine three colors. Indulge with Mimi used this technique to create these impressive Multi-Color Macarons. She also has a video tutorial which you can watch here. The ombre effect is still very trendy and Oh! Sprinkles created these oh-so-gorgeous Ombre Macarons by using a Dusting Brush to apply a food dust color. You’ll never guess how easy it is to create this effect! Find out here. Who says macarons only need to be round? 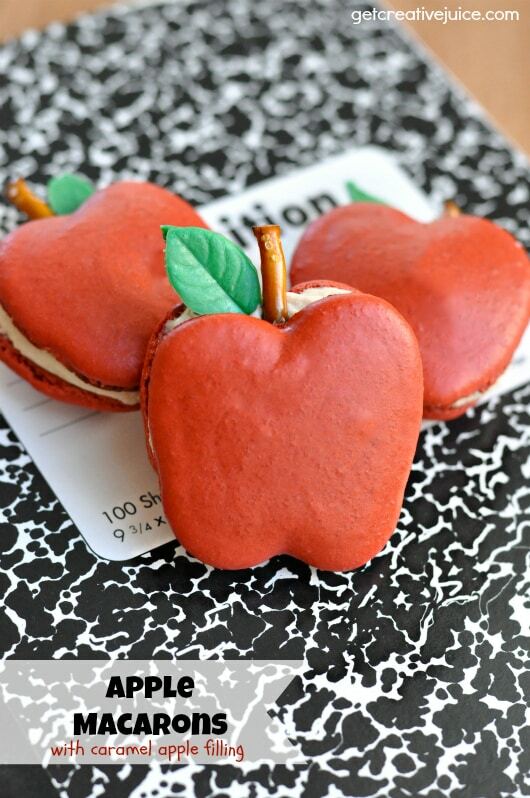 Try creating some non-circular macarons for a fun experiment like these adorable Apple Macarons by Mindy Cone of Creative Juice. Insert a pretzel stick for the stem and use Green Candy Melts to make a leaf. How genius is that?! Make these cute Pink Macaron Crab Cakes by piping some “legs” made from the Wilton Meringue Recipe and then adding Large Candy Eyeballs to the top shells. They’ll be an instant hit at your next gathering! Okay, these Elephant Macarons may be a little tricky to make, but they’re just too cute not to try. Get the step-by-step tutorial and recipe from Loving Creations for You. Use the Black FoodWriter to mark the eyes, mouth and lines on the elephant’s trunk. Let your macarons speak for you! Use the Gold Metallic Candy Paint Brush to easily write messages on your macaron cookies to make them conversational. 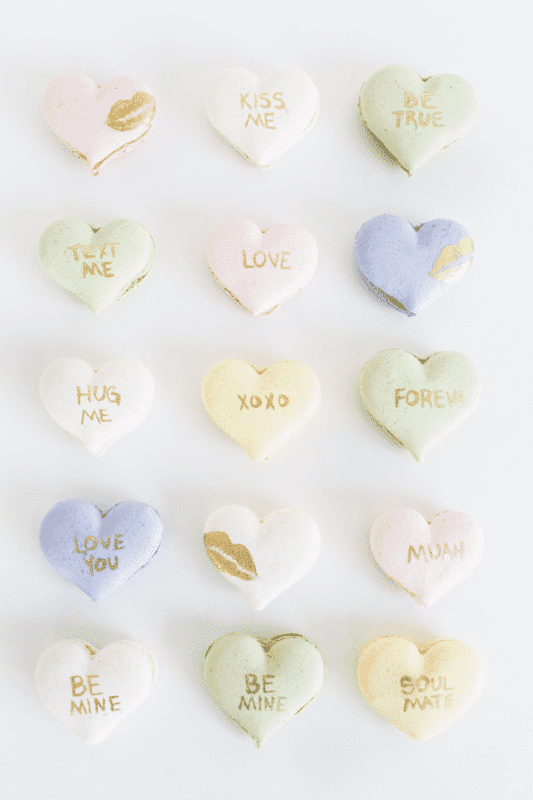 Macaron artist Sugar and Cloth has a good tutorial on how to make these stunning Conversation Heart Macarons. Bonus: there’s a video for this, too! 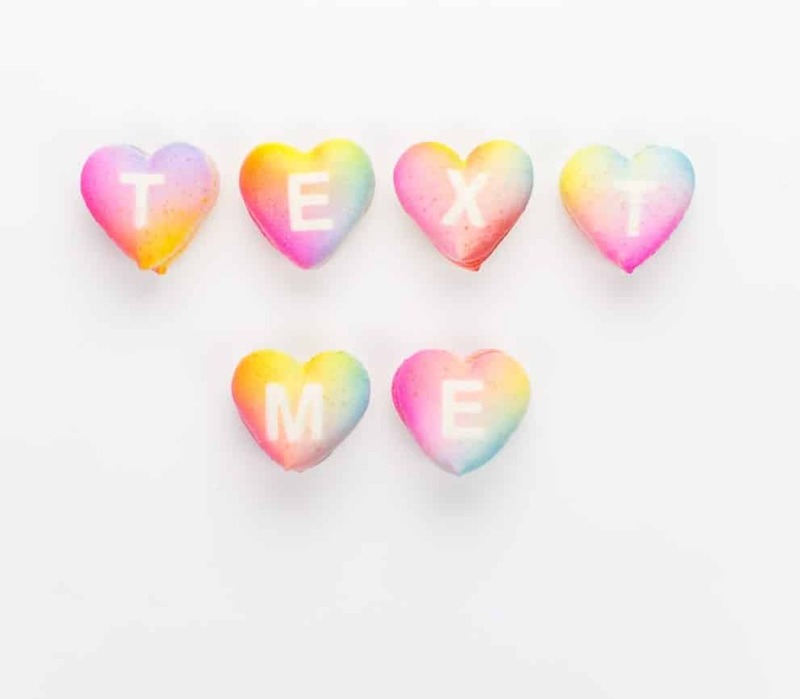 And if you want to make your macaron messages more colorful, Sugar and Cloth has another awesome tutorial for how to make Gradient Message Macarons. Use Color Mist Food Color Spray to create a striking gradient effect! Which among these projects would you like to try first? Leave us a comment below and post a photo of your creations on Instagram, Facebook, or Twitter by using the hashtag #wiltoncakes. We’d love to see your work! Thank you so much for including my work on this list. I also discovered a few new bakers too.